“Out of sight, out of mind” is a phrase that might work for those boxes of old junk in the attic, but it certainly doesn’t work for pipelines. While they’re typically buried out of your sight, pipelines are always on an operator’s mind. We understand an unintended pipeline release could impact communities, economies, the environment and even lives. Pipeline companies and federal regulators take these hazards seriously, and the steps they take to prevent these releases are part of what make pipelines the safest way to transport energy products. Above ground,we patrol the pipeline rights-of-way on foot and in the air to look for pipeline damage or signs of a release. Below ground, we conduct visual inspections where needed, as well as pipeline pressure tests. Outside the pipeline, we use protective coatings and run an electrical current (known as cathodic protection) through the pipe to prevent corrosion. Inside the pipeline,we frequently run smart tools (commonly called “PIGs”) to inspect the pipe’s integrity. In our control room, we use a high-tech system to monitor pipeline vitals and operate valves remotely. In our facilities, engineers and analysts create integrity management plans that assess and address risks to pipeline safety. In our communities, we invest in educating the people who live and work near our assets about pipeline safety and frequently dialogue with local emergency response agencies. 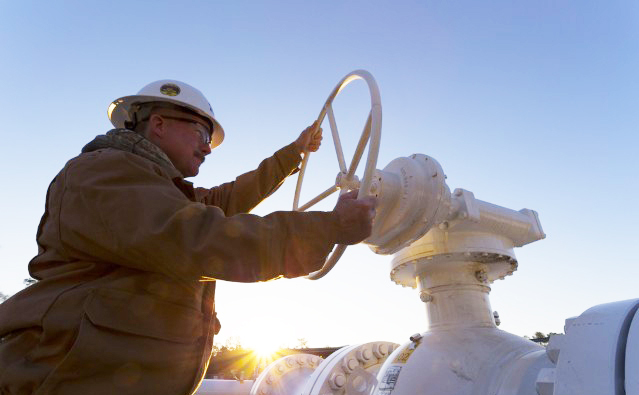 They may be out of sight, but with these and other measures in place to prevent incidents and protect the community, Phillips 66 pipelines are never out of mind. For more information, please visit phillips66pipeline.com.